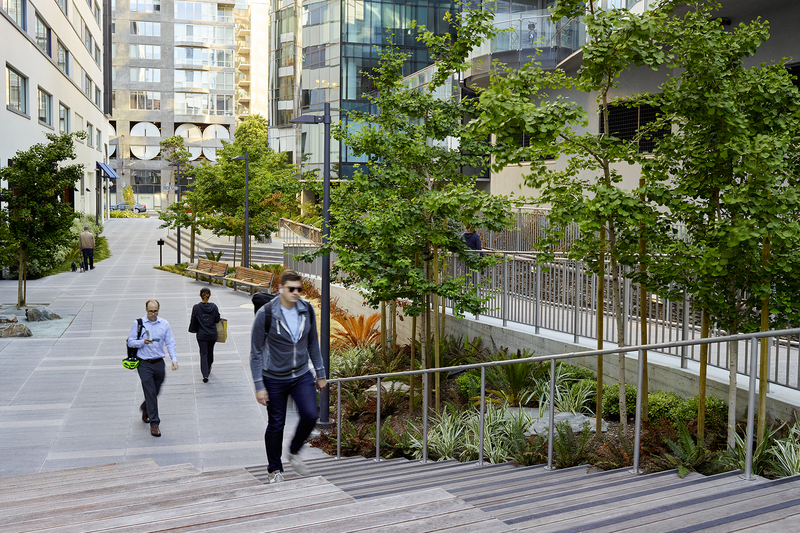 Located in San Francisco’s Rincon Hill neighborhood, Lumina is a modern luxury high-rise condominium project that is one of the largest multi-family development in the city. 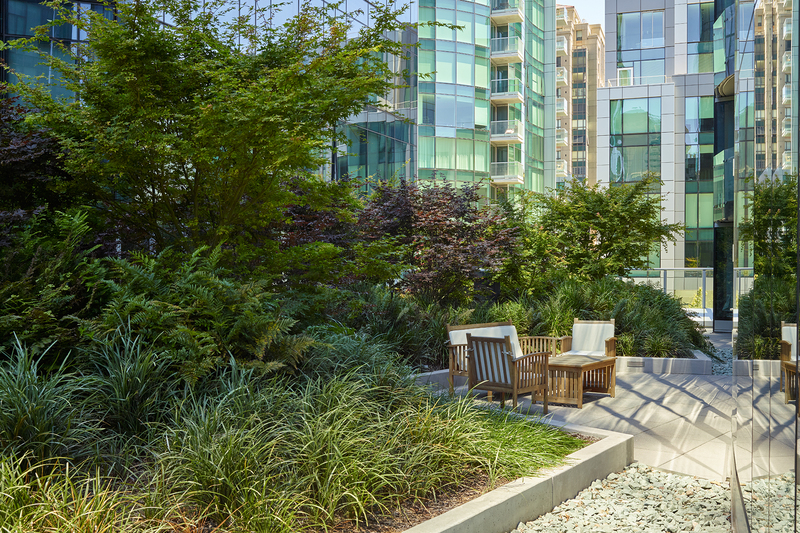 Through a variety of exterior spaces for living and interaction, the landscape enhances the living experience for residents and the community. 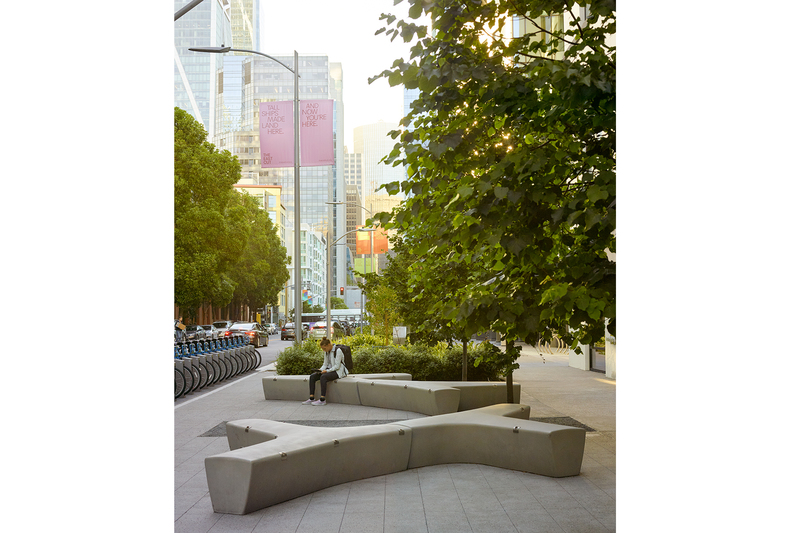 At the ground level, the sidewalks on the three surrounding streets were widened to slow traffic and create a pedestrian-friendly environment with large planted areas, outdoor cafés, intimate seating areas, bike racks, and dog relief zones. 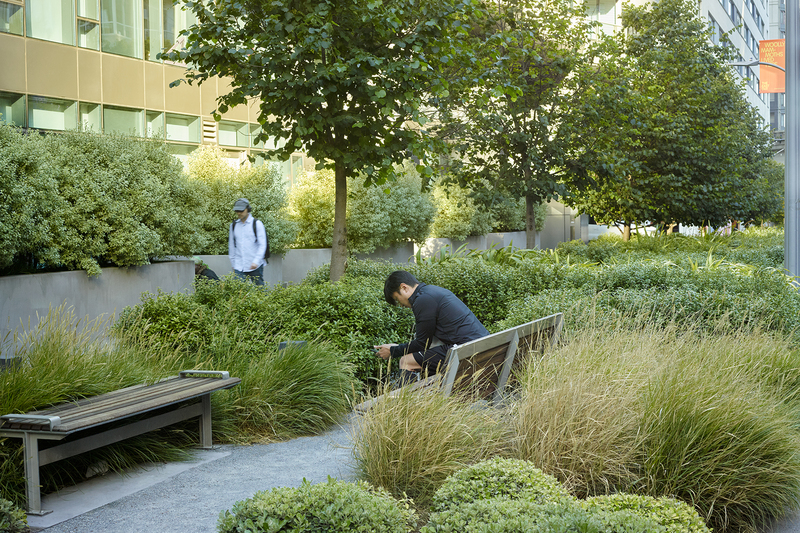 Developed collaboratively with the City, the areas create a much-needed open space system in a very dense urban area. 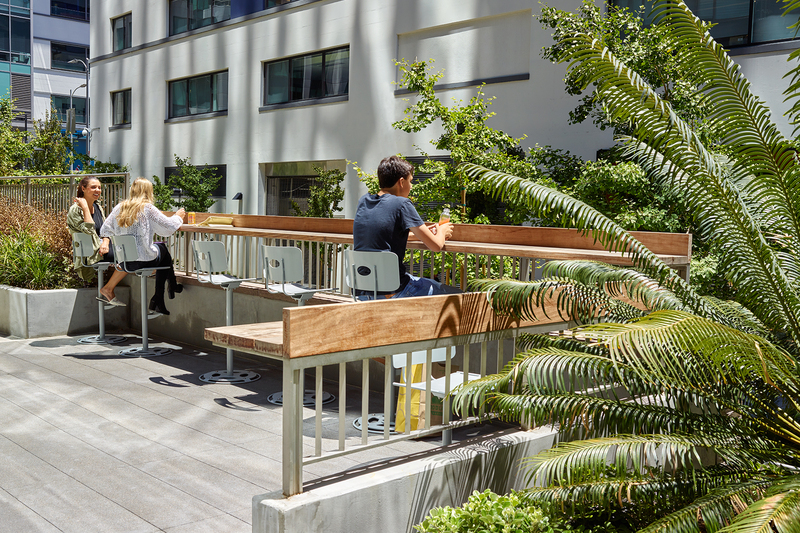 The fourth side of the project, an alley, has been converted into an 11,000-square foot park named Rincon Place, providing additional outdoor spaces for the entire community. 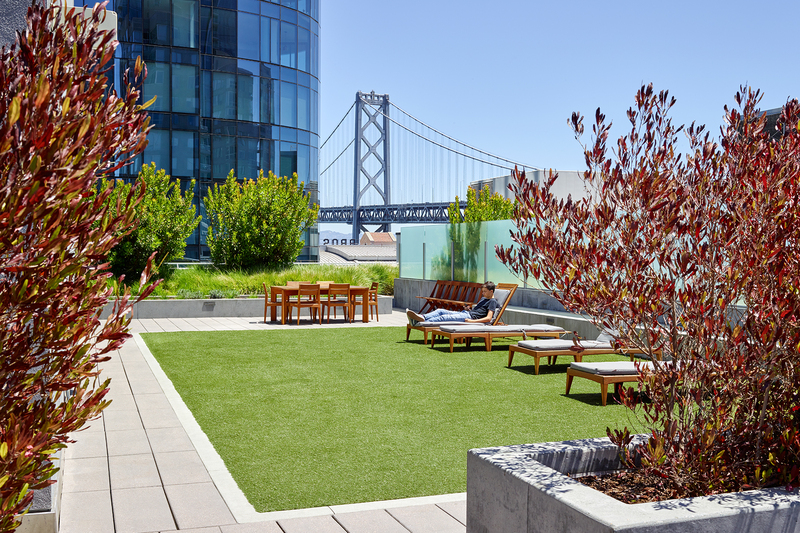 A significant portion of the towers’ rooftops have been designed as a series of garden spaces that offer environmental benefits, enhance views from the units, and provide secure outdoor living spaces for residents from within and above.